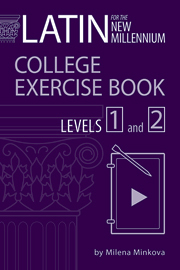 The College Exercise Book offers a wealth of exercises to aid students in and out of class. With many answers provided in the back of the book, students can self-check their work and practice difficult concepts on their own time. Offering 7–“9 exercises for every chapter of LNM 1 and 2, the College Exercise Book is a must-have resource for any student using LNM.